CHS Consulting Group provides multimodal transportation planning and engineering services. Our focus is on complex urban transportation systems and our skills cover a full range of transportation modes. Our leadership team includes 7 key individuals; each brings a unique specialty, expertise, and depth of experience and collaborates with the others to provide integrated approaches to addressing challenging urban transportation problems. This team of senior planners and engineers has a proven track record of past accomplishments, providing industry insights for our clients, creative and innovative approaches to problem solving, and timely delivery of our services. Chi-Hsin Shao has 40 years of experience in transportation planning and engineering, specializing in multimodal transportation planning and systems. His diverse experience ranges from large-scale transit corridor, highway corridor and design-build projects to station area plans and Complete Streets projects. Throughout his career, Chi-Hsin has worked to integrate multiple transportation modes—transit, automobiles, bicycles, and pedestrians—along major transportation corridors in the US and abroad. 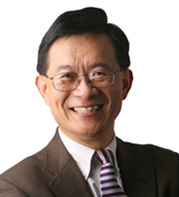 Prior to founding CHS Consulting Group, Chi-Hsin served as the Head of the San Francisco Planning Department’s Transportation Section, and Deputy Commissioner of Policy and Planning for the City of Boston Transportation Department. He received a Master of Science degree in Infrastructure Planning and Management from Stanford University, a Bachelor of Engineering Degree in Architecture from Chung Yuan University, and is a registered Traffic Engineer in California. Tony Mendoza has over 20 years of experience in transit planning and transit operations. He is an award-winning transportation planner, with an emphasis on high-capacity transit projects, transit system planning and operations, and transit-oriented development. Tony takes a data-driven approach to solutions for each project he leads, and has earned a reputation for building partnerships and forging consensus on complex and sometimes contentious projects. Prior to joining CHS Consulting Group, Tony served as Deputy Director of Planning and Integration for the California High-Speed Rail Authority, and Senior Planning Manager with WSP USA/Parsons Brinckerhoff. He was Planning Manager with Oregon Metro for five years and Manager of Service Development for Portland’s Tri-County Metropolitan Transportation District (Tri-Met) for 13 years. In these positions, he led transit and land use integration for the Regional Transit Plan, and the 30-year update of the regional High-Capacity Transit network in Portland. The Transportation Research Board recognized his work for Oregon Metro’s High Capacity Transit System Plan with a Public Information Innovation Award. A native and resident of Long Beach, California, Tony has a BA in Public Administration with an emphasis in City Planning from San Diego State University. 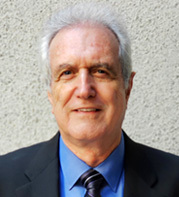 William Lieberman is a veteran in transit planning and operations with more than 40 years of experience. He has held senior-level positions with government agencies and private consulting firms. Bill was Director of Planning and Operations for the San Diego Metropolitan Transit Development Board for 17 years, and later the Director of Planning for the San Francisco Municipal Transportation Agency (SFMTA). Bill’s public transit work ranges from strategic plans for developing regional transit systems to detailed station circulation and wayfinding schemes. Bill was key in implementing light rail transit projects in the US, including those in Portland and San Diego. He has completed feasibility studies for streetcar, commuter rail, bus, and bus rapid transit (BRT) lines. Bill holds a Master of Regional Planning degree from the University of North Carolina, and a Bachelor of Arts degree from Northeastern University. Angelo Figone has over 40 years worth of senior management and hands-on experience in transit operations and management. He is a nationally recognized expert in transit operations and scheduling. He has successfully implemented route startups, schedule modifications, and labor provision changes. Angelo has also conducted financial audits of transit agencies, and led technical training seminars for transit operators. Recently, he worked closely with senior management of the San Francisco Municipal Transportation Agency on the planning and implementation of the Muni Forward program in San Francisco. Muni Forward comprehensively reviewed and restructured Muni’s bus system and routes to make it more efficient and reliable. 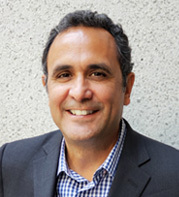 Angelo’s career includes positions with the San Francisco Municipal Transit Agency as Deputy General Manager, General Superintendent of Rail Transportation and System Scheduling, General Superintendent of Safety & Training and Scheduling and Data Services, and Manager of Scheduling and Data Services. Jill Hough has 28 years of experience as a seasoned project manager, transportation planner, and travel demand modeler. 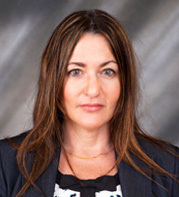 She has extensive travel demand modeling experience in model development and applications and has developed travel forecasts for many highway and transit projects. Jill holds a standing membership on the award-winning, blue-ribbon ADB50 Transportation Planning Applications Committee of the Transportation Research Board, and is actively involved in the review of leading-edge research papers in model development for public agencies from across the country. Jill received her Bachelor of Science in Civil Engineering degree from Carnegie Mellon University. Soroush Khadem has over 14 years of experience in traffic engineering design. He has prepared PS&E for traffic signal, ITS and interconnect systems for over 150 intersections, pavement delineation, and traffic control and construction detour plans for over 50 cities throughout California. He has also prepared TMP, PSR, PR and final designs for 7 Caltrans Districts, and is thoroughly familiar with Caltrans and local city design standards. 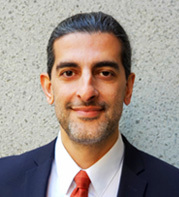 Soroush is currently the traffic engineering task leader for the California High-Speed Rail Segment 1 Design-Build Project, responsible for signal, ITS, and street lighting design, and traffic detour plans. He is managing the design and implementation of signal and timing for the elevated bus ramps crossover and priority Muni bus ingress and egress on surface streets to and from the new Transbay Transit Center in San Francisco, the largest intermodal terminal west of the Mississippi. Prior to joining CHS, he served as the traffic engineering task leader for SANDAG’s I-805 Managed Lanes and Direct Access Ramp and as the senior engineer for the State Route 91 Corridor Improvement Design Build project. He holds a Master of Science in Transportation Engineering from the University of Southern California. He is registered as a Civil Engineer and Traffic Engineer in California and is a registered Professional Traffic Operations Engineer. Andrew Kluter has 22 years of experience in multimodal transportation planning and transportation engineering. 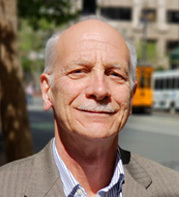 His experience covers a wide range of projects, including transportation analyses and strategies for development projects, CEQA/NEPA documents, parking analyses and strategies, transportation demand management strategies, traffic operations analysis for corridor studies, complete streets projects, and multimodal transit access projects. 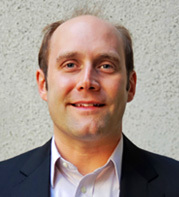 Andrew is CHS Consulting Group’s lead for transportation planning and corridor studies. Recent projects include the ACEforward Altamont Corridor Express Expansion Program EIR, the East Bay Greenway mixed-use trail in Alameda County, and the Oakland/Alameda Access Project. Andrew led the development of a complete street project along Mary Avenue in Sunnyvale, California, and has completed several recent transportation impact analyses using Vehicle Miles Traveled (VMT) as a metric. He is a registered Civil Engineer in California, and holds Master of Science in Transportation Engineering and Master of City of Planning degrees from the University of California, Berkeley, and a Bachelor of Science degree in Civil Engineering from the University of Pennsylvania.